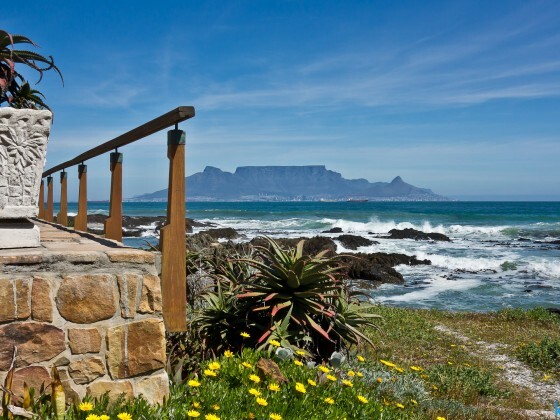 Bloubergstrand is a suburb of Cape Town along the shores of Table Bay, 15 km due north of the city centre of Cape Town. 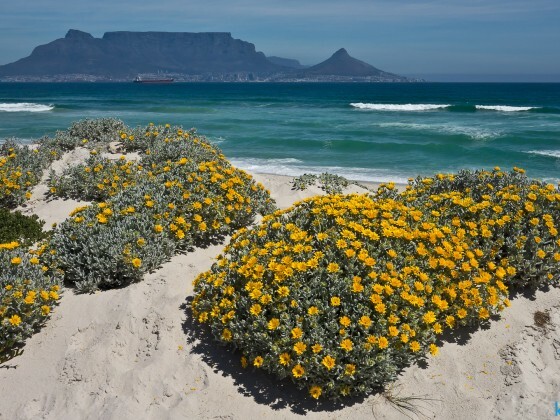 The name Bloubergstrand literally means "blue mountain beach" in Afrikaans, and is derived from Blaauwberg, a nearby mountain. 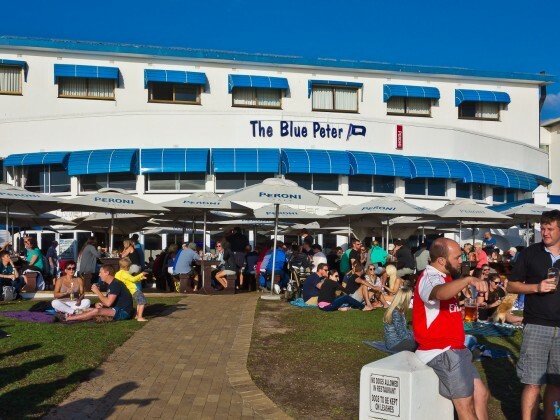 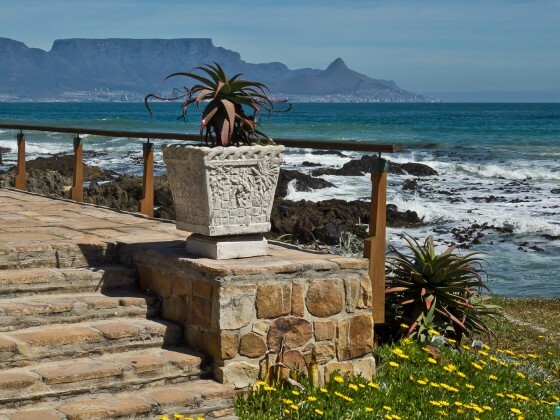 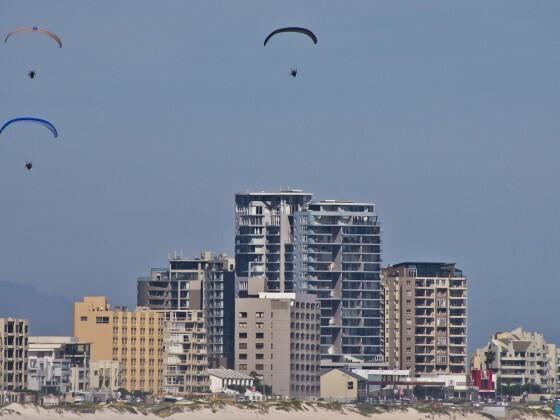 Bloubergstrand is mainly a residential area, and attracts large numbers of visitors. 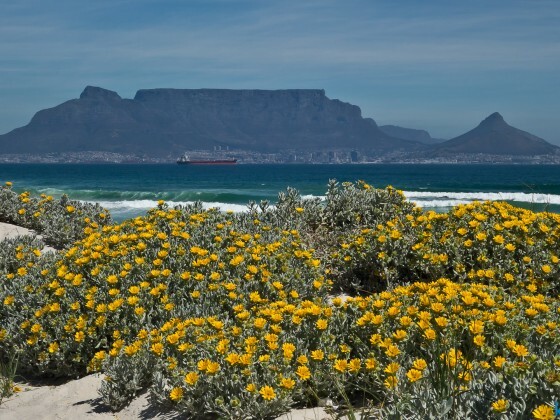 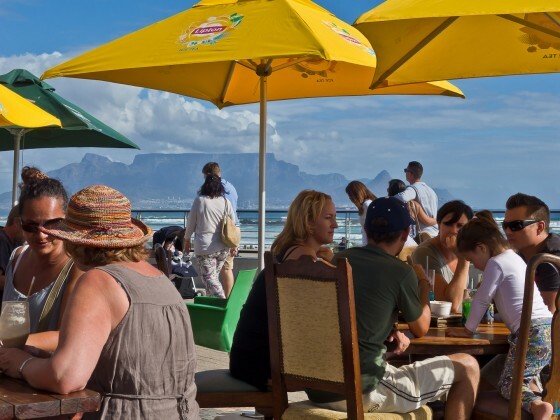 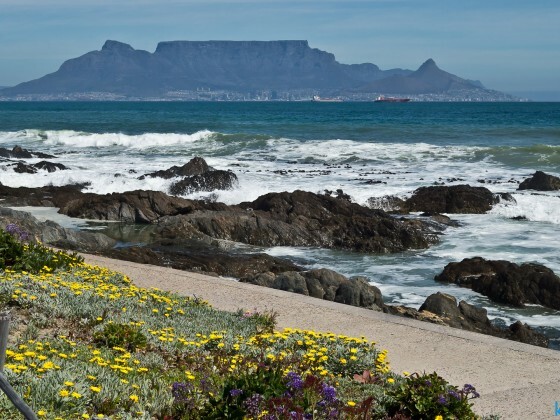 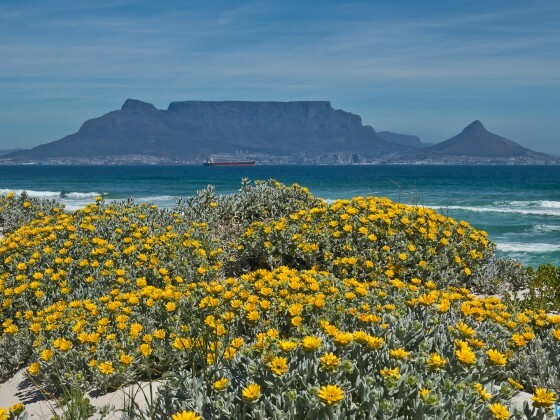 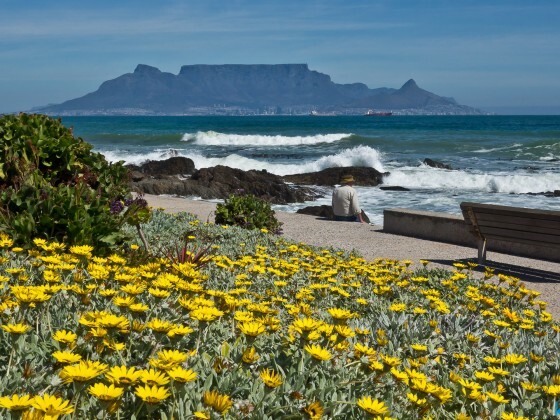 The beach at Bloubergstrand is a popular location for a classic view of Table Mountain across the bay. 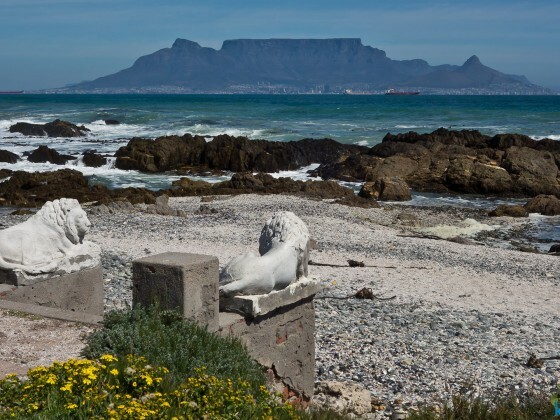 Robben Island is located 6,9 km west of the coast of Bloubergstrand. 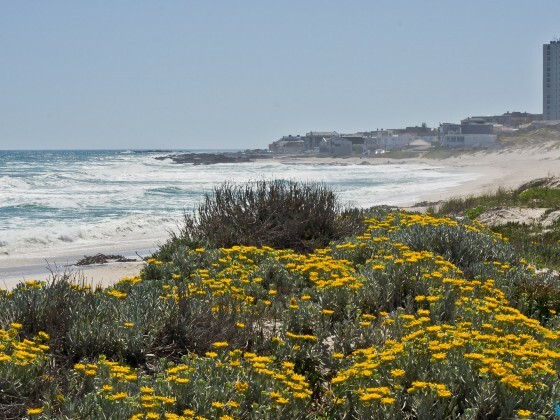 Bloubergstrand has a long white sand beach on the Atlantic ocean, with a few rocky outcrops where black mussels are found. 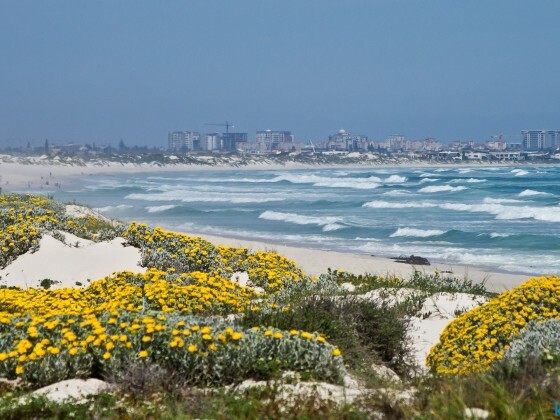 The water is cold due to the cold Benguela current but the beach is popular with surfers. 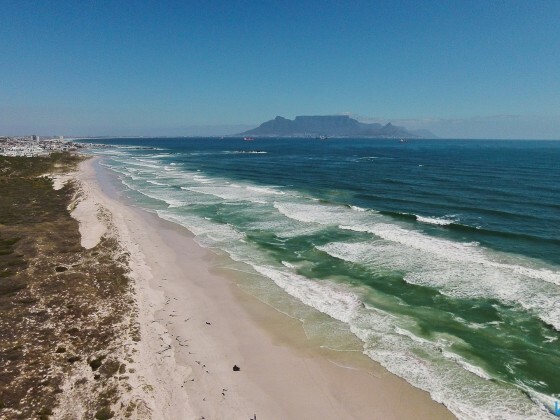 The bay on the west side of Bloubergstrand, known as 'Big Bay' has become a very popular kitesurfing spot due to the constant trade winds bringing a 1–3 m surf for a majority of the year. 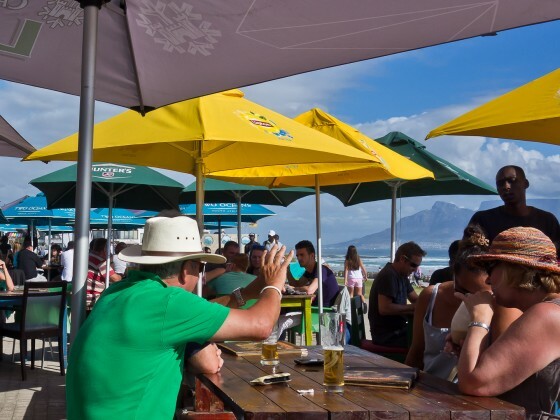 Big Bay beach is also well known for the ease with which white mussels can be extracted from the sand by a process locally known as 'jiving'.